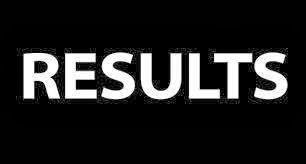 23 Oct: Himachal Pradesh Board of School Education Dharamshala HPBOSE Exam Results are declared and available online for all the students appeared in the examination. HP TGT ARTS TET 2013 Results Declared and available on the official website of HP Board http://www.hpbose.org. All the students waiting for the results can check their exam results online through the direct link available here below. A large number of students appeared in HP TGT TET 2013 Exam held on 29 Sept, 2013 and their wait is over and final results are declared. HP Board uploaded the list of students containing their roll no. along with the marks obtained in the TET Exam 2013. You can download this final list and can search your roll number to find the results. Click on the following link to download the HP TGT TET 2013 Results.